Home » News » All your questions about Harrisburg’s Act 47 status, answered. All your questions about Harrisburg’s Act 47 status, answered. If the city of Harrisburg were a person, it would be in court-ordered financial rehab. That’s one way of looking at the city’s Act 47 label, which denotes its membership in a club of cash-strapped municipalities. Right now, Harrisburg and 14 other cities, townships and boroughs are considered “financially distressed” by the state of Pennsylvania. Harrisburg has been in Act 47, a state-run financial oversight program, since 2010. Eight years later, the city is facing two options: stay in the program under a three-year exit plan or persuade state lawmakers to let it leave immediately. The new crossroads has put Act 47 back in the headlines in Harrisburg. Here’s a primer on Harrisburg’s financial fall and recovery, covering everything from incinerator debt to commuter taxes and home rule charters. We’ll update it as Harrisburg moves through the Act 47 exit process. Act 47 is an oversight program that creates special regulations for municipalities with poor finances. The state’s Department of Community and Economic Development (DCED) administers the Act 47 program. To enter the program, a city must seek an Act 47 designation from the DCED secretary. How does Act 47 work? The most important aspect of Act 47 is that it lets cities pass higher taxes, usually as they’re forced to cut spending. Pennsylvania’s state constitution and tax codes regulate tax rates and increases for all municipalities in the commonwealth. When a city is in Act 47, those tax laws no longer apply. The Act 47 law sets its own tax rates that allow cities to put a higher tax burden on residents. Cities in Act 47 are allowed to appeal to the state’s Commonwealth Court to approve tax hikes within the limits of the law. These “revenue enhancements” are meant to be temporary, lasting only as long as a city stays in Act 47. The hope is that a municipality can use the additional tax revenue to build up savings or pay down debts ahead of its Act 47 exit. What does an Act 47 coordinator do? Every Act 47 city gets assigned a DCED coordinator – essentially, a caseworker who reports back to the state. A coordinator will draft the municipality’s recovery and exit plans, amend it based on public comment, and submit it to municipal officials for final approval. She also signs off on the city’s yearly budgets. Harrisburg’s current Act 47 coordinator is Marita Kelley. Why can’t Harrisburg just balance its budget? As the seat of state government, Harrisburg is home to lots of jobs and tax-exempt land. Thirty thousand commuters come into the city for work daily. Forty-eight percent of the property in Harrisburg is owned by the commonwealth, nonprofit agencies, hospitals or universities—none of which have to pay taxes. What’s more, 32 percent of the city’s 49,000 residents live in poverty, according to U.S. Census data. 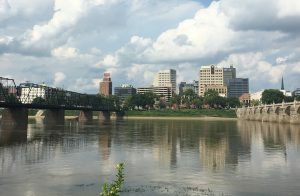 Harrisburg’s tax base is small, but, as an employment hub, its financial burdens are huge. Harrisburg’s roads and emergency services personnel serve the local population as well as commuters. The city also has a history of irresponsible financial management, which stresses its budget to this day. Former Mayor Stephen Reed borrowed hundreds of millions of dollars to fund projects that were meant to generate revenue for the city, including the National Civil War Museum, a retrofit for the Harrisburg incinerator and a never-realized Wild West museum. Harrisburg was in more than $300 million of debt when residents voted Reed out of office in 2009. The city unloaded some debt when it sold the incinerator and leased its parking assets in 2013. But it’s still funneling 15 percent of its annual budget into debt payments. How long can a city stay in Act 47? When Harrisburg entered Act 47 in 2010, the law didn’t impose any deadlines on cities in financial recovery. But that changed when the state legislature amended the Act 47 law in 2015. Now, every city in Act 47 can adopt a five-year recovery and obtain a one-time, three-year extension before it must exit. Municipal officials and policy experts say the eight-year timeframe isn’t enough for cities to recover from deep financial distress. But lawmakers who supported the reform said that too many cities were taking advantage of the high taxes that Act 47 allowed them to pass. What changed for Harrisburg under Act 47? In the past eight years, Harrisburg has reduced its staff, leased its parking assets to a private company, and sold the debt-ridden Harrisburg incinerator. It’s also deferred maintenance on its roads and other critical infrastructure. Meanwhile, the city has increased taxes on residents and non-residents who work in the city. Council doubled the city’s personal income tax (earned income tax or EIT) in 2012 and tripled its local services tax (LST) from $52 to $156 in 2016. The local services tax is paid by anyone who works in the city – residents and commuters alike. Together, these tax hikes have brought in an additional $11.8 million of annual revenue for Harrisburg. Mayor Eric Papenfuse has said that they’re absolutely essential to the city’s long-term financial health. With this combination of tax hikes and spending cuts, Harrisburg has been able to run surpluses each of the four years that Papenfuse has been in office. The city is using its growing fund balance (along with a slew of state grants) to pay for infrastructure improvements for the first time in years. What happens when a city exits Act 47? Cities that exit Act 47 usually have to lower their tax rates. The only way to avoid that is to pass its own unique home rule charter. A home rule municipality is free to set its own rules and tax regulations, but it has to be approved by a majority of the town’s voting population. When does Harrisburg have to exit? Under state law, Harrisburg can only stay in Act 47 through 2021. Why has Harrisburg been lobbying state lawmakers? Local officials have long said that the city can’t afford to leave Act 47 and revert to tax rates set forth in the state constitution. City officials have asked lawmakers to set special taxing provisions allowing Harrisburg to keep its current LST and EIT rates. In June, House Speaker Mike Turzai blocked Harrisburg’s tax measure from coming up for vote, leaving the city in limbo as its Act 47 deadline nears. Isn’t the legislature in recess? Where does Harrisburg stand? Lawmakers will return from summer recess on Sept. 12. State Rep. Patty Kim, whose district includes Harrisburg, and Rep. Greg Rothman, who represents much of Cumberland County, are co-sponsoring a House bill that would let Harrisburg keep its LST and EIT. If the bill passes, nothing will change for Harrisburg – it would continue to levy its status quo tax rates indefinitely. It would also exit Act 47. What will happen if the legislature doesn’t act? If it stays in Act 47, Harrisburg will have to adopt a three-year recovery plan prepared by its Act 47 coordinator. The state-sponsored recovery plan can only make recommendations based on current state law. As a result, Kelley and her team at DCED are limited in what they can recommend to the city. When they published a draft recovery plan in July that called for doubling property taxes in Harrisburg, residents, business owners and local officials universally panned it. Harrisburg’s elected officials said they would reject any exit plan that increased the tax burden on city residents. Kelley’s team went back to the drawing board with hundreds of public comments and released the revised exit plan on Wednesday, Aug 8. What does the new exit plan say? 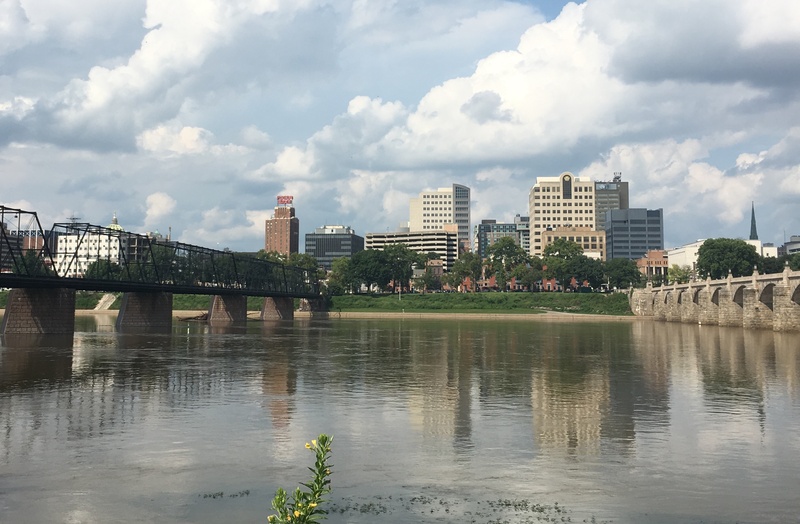 It proposes a four-year budgeting strategy that would let Harrisburg keep its current tax rates through 2020, as long as the city actively continues its lobbying strategy. If Harrisburg can’t compel the legislature to act by 2020, it will have to adjust its budget to prepare for an Act 47 exit in 2021. Kelley recommends dialing down the Earned Income Tax rate starting in 2020, and then, the following year, cutting the LST down to a $52 annual rate — the maximum amount allowed under current state law. The city would have to cut spending and use its fund balance to bridge any deficits. In short, the plan maintains the city’s status quo for two more years. Harrisburg residents wouldn’t incur any property tax increases, nor would commuters face a new tax on their incomes. But the plan also acknowledges the very real possibility that state lawmakers won’t act Harrisburg’s favor. TheBurg obtained a full copy of the exit plan through DCED. As of Thursday, Aug. 9, hard copies of the exit plan are posted in the City Clerk’s office. They should be online through the city and DCED later today. Why did the city want to levy a commuter tax? Last week, Papenfuse said that he proposed what would essentially be a commuter tax. It would cost commuters a lot more than the current LST, but it wouldn’t increase the tax burden on Harrisburg city residents. Under the mayor’s proposal, everyone who works in Harrisburg would pay a 2-percent income tax. Many commuters already pay an income tax to the municipality where they live. But most boroughs and townships in the region have a rate below 2 percent. They would pay their standard EIT to their home municipality, then pay the balance of their 2 percent rate to Harrisburg. Update, August 8: DCED’s revised exit plan does not call for a commuter tax. Instead, it would allow Harrisburg to keep levying its current LST and EIT through 2020. Is a commuter tax even legal? Even if Kelley had recommended a commuter tax in her exit plan, it would have ultimately been up to a Commonwealth Court judge to decide if the city can levy it. The Act 47 law says that a city can’t pass a tax hike on non-residents that it doesn’t levy on residents. But since Harrisburg residents already pay a 2 percent earned income tax, the hike that Papenfuse proposed would bring non-residents up to the same rate. So, non-residents would see a tax hike, but their tax rate would not exceed that of Harrisburg residents. I’m a commuter – why does Papenfuse want me to pay Harrisburg’s bills? When the mayor proposed the commuter tax, it wasn’t because he thought it would be the best option for Harrisburg. He said last week that was using it as a bargaining chip with state lawmakers, who would be subject to the tax themselves. Papenfuse would rather keep the status quo – a $156 annual LST and a 2 percent EIT for residents. He hoped that lawmakers, faced with a potential tax hike, would approve the bill that would let Harrisburg levy these taxes indefinitely. Now that the revised exit plan would let Harrisburg keep its LST and EIT, lawmakers aren’t facing the same urgency to approve new taxing provisions. 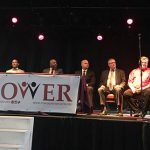 In general, though, the mayor and other city officials have long said that commuters who use Harrisburg’s roads and emergency services should pay for them. He’s open to lowering the LST in the future, if the city’s tax base grows. What happens if Harrisburg rejects the coordinator’s exit plan? Nobody really knows the answer to this question. Papenfuse said last week that the city is in “uncharted territory” with regards to its exit plan. If it rejects Kelley’s final plan, it could be the first city in the history of Act 47 to do so. The Act 47 law says that the DCED secretary should ask the governor to declare a “financial emergency” in any city that bucks the end of the Act 47 process. The governor could theoretically decline to do so. If a mayor isn’t happy with an Act 47 recovery plan, they’re allowed to write their own amended version, just as former Mayor Linda Thompson did in 2011. But the law doesn’t make the same allowances for exit plans. In fact, it doesn’t consider at all what would happen if city officials disagree with their coordinator about the best course of action. Can we pass a home rule charter? Papenfuse wants to start proceedings for a home rule charter if the city stays in Act 47. But it’s a lengthy process, and he’s not confident the final charter would get the majority vote it would need to pass. A home rule charter would let Harrisburg keep its current EIT rate. But since the charter only would apply to residents, the city can’t set any special tax rates for non-residents. As a result, home rule would not allow the city to keep its current LST rate, which generates $4 million annually. In short, it’s not a silver bullet like it is for other, smaller municipalities. The best-case scenario, according to Harrisburg officials, is that the state legislature will pass a law allowing the city to keep doing exactly what it’s doing now: assess a $156 yearly local services tax on everyone who works in Harrisburg and a 2 percent earned income tax on residents. But lawmakers won’t have a say until September, and the Act 47 law sets a firm timeline on exit plan proceedings. So, Harrisburg is pursuing both paths at once. The city will meet with a Commonwealth Court judge next week to see if it can delay the deadlines in the Act 47 law. That could defer a vote on the exit plan. Meanwhile, its lobbying effort will continue in the statehouse, even as City Council considers the exit plan and potentially votes on it. This post was updated on August 9 with new information about Harrisburg’s revised exit plan. Next Post Harrisburg commuter tax nixed in newest Act 47 exit plan.